Tulip means Perfect Love in Ancient Persian mythology. This miraculous flower has been revered for centuries, from the "Tulip Beings" depicted in ancient rock art to the Tulip Festivals of the Ottoman Empire and the "Tulipomania" period in Holland. 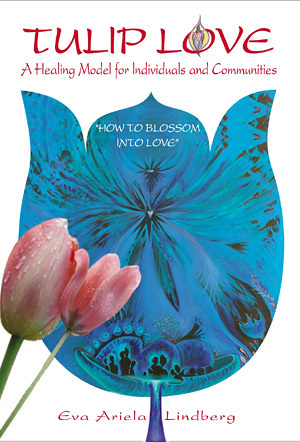 The Tulip Love healing model shows you how to befriend your Self, open up to nurturing touch and how to belong to community. Parallels to human nature and the blooming process, are drawn. The author uses the symbolism and aesthetics of this fascinating blossom to create a model of healing for individuals and communities. Learn about the healing properties of Tulips, the flower's history, botany, mythology and archetypal meaning. Bring a new level of beauty into your life through the power of Tulip Love.